We are sorry for any inconvenience, but Pizza Bella is currently closed. We will reopen at the end of October 2018. Thank you for joining us then! 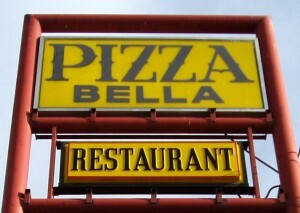 Welcome to Pizza Bella Restaurant in Delta Junction, Alaska. Our family-owned business has been serving Delta Junction families and curious Alaska tourists since 1977! Want to try something new and delicious, fresh from our imaginations? Try our new specialty dinners you’ll always wonder what’s next! Litsa knows how to make your life a little more special by warming your heart and your belly with delicious Greek classics. Our telephone number for to-go orders is 907-895-4841 and 907-895-4524. See Pizza Bella Restaurant on Facebook for updates! Please view our menu and see our location! (c)Copyrighted Pizza Bella Restaurant, All Rights Reserved.